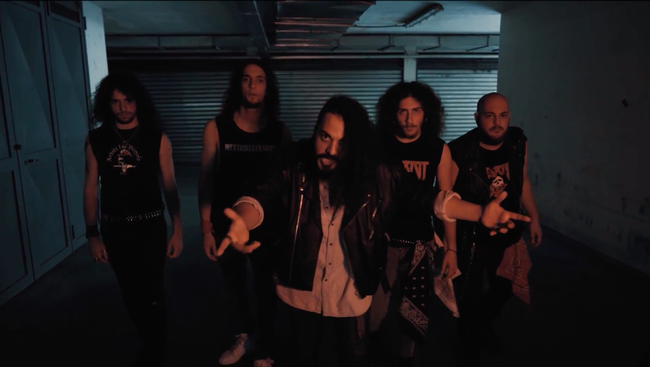 ReD RioT made the "Bang Your Head" videoclip available today on the YouTube channel of Volcano Records & Promotion, one of the most active independent labels on the Italian and international rock and metal scene. "Bang Your Head" is an extract from the brand new ReD RioT album "Seek! Kill! Burn! ", Available in both physical and digital versions (on all major digital stores including Amazon Music, iTunes and Spotify) from October 26, 2018. This revolutionary hymn launches a clear and round message: the ReD RioT have decided to make their voices heard and have done it in the best way, giving us a concentrate of grit and pure adrenaline, made of energetic riffs, scratchy songs and words of protest shouted in chorus and loudly, with a style perfectly consistent with what we have been accustomed by this promising "thrashin 'sleaze metal" Italian band in recent months. In summary, ReD RioT is a band to watch and this new video is the umpteenth confirmation.